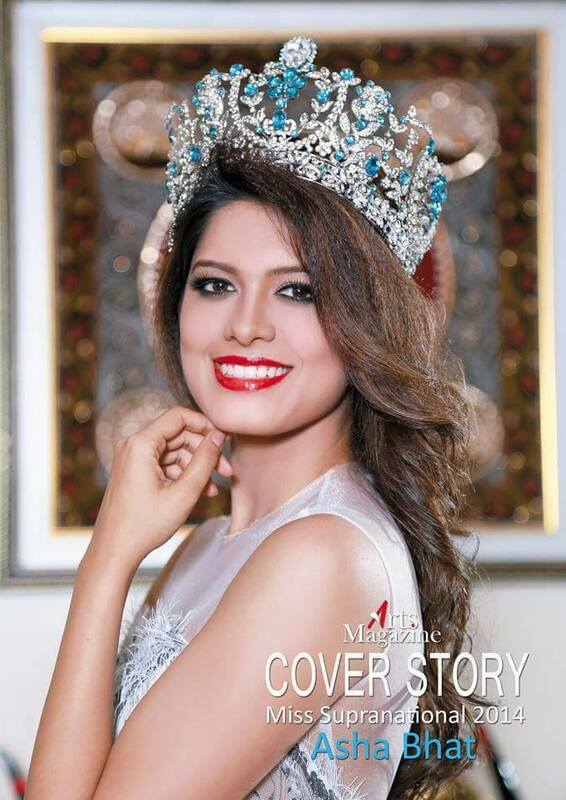 Miss Supranational 2014 Asha Bhat posed for Arts Magazine, a leading magazine in Myanmar. Asha was in Rangoon, Myanmar for Miss Golden Land Myanmar finale last month, where this fashion editorial was shot. 22 years old Indian beauty is wearing gowns designed by Shilar Shilar, a renowned designer from Myanmar. 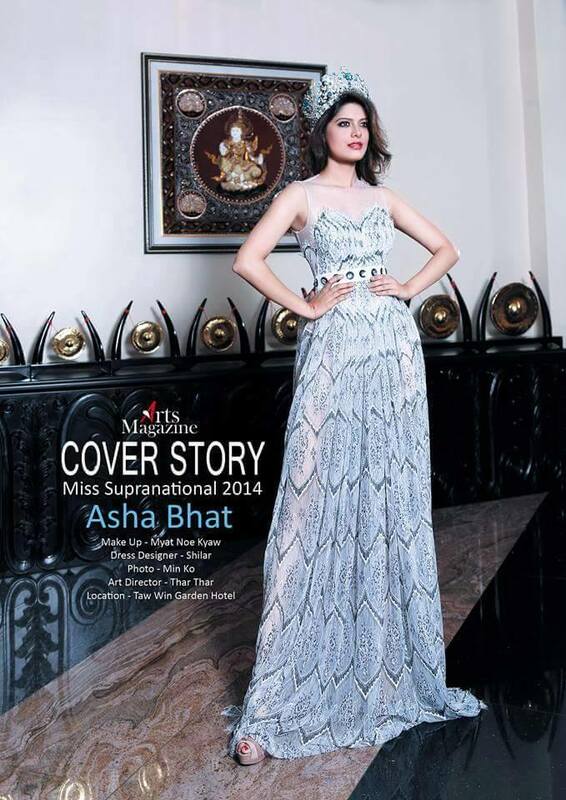 This is Asha’s first international magazine cover. Arts Magazine is Myanmar’s leading entertainment magazine. Asha crowns her successor in December later this year. 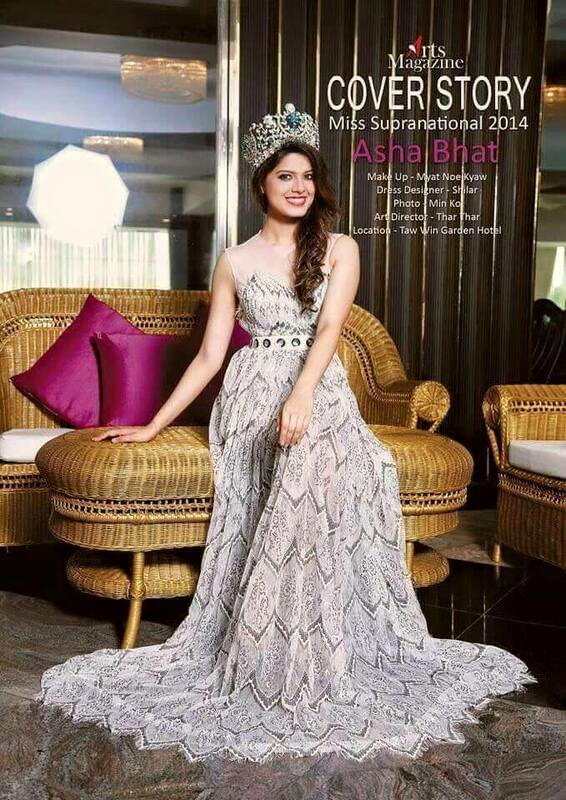 Asha was also honoured as Best Asian Beauty of 2014 by out experts.